Governing body clarifies ASADA investigation involving Matt and Jake Moss. 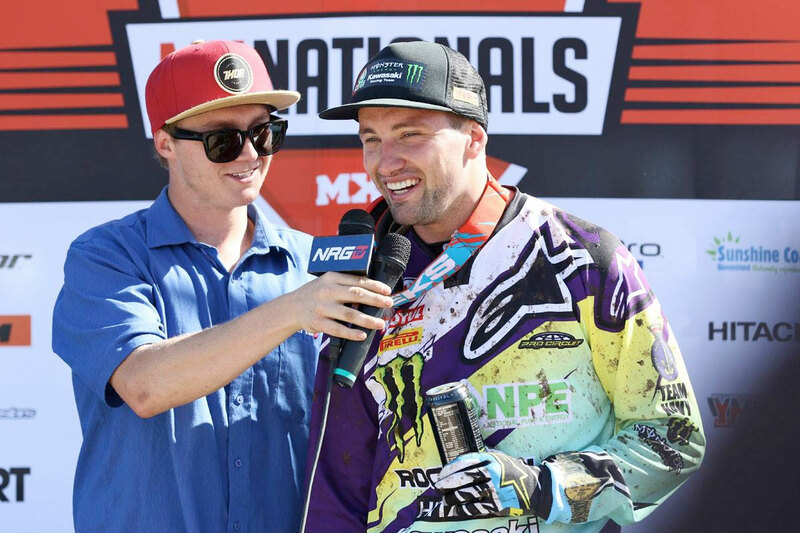 Motorcycling Australia (MA) has confirmed the provisional suspensions of Jake and Matt Moss after they recorded positive anti-doping test results at the Murray Bridge round of the Motul MX Nationals in South Australia during May. In the first statement made by the sport’s governing body since the Moss brothers were mysteriously missing from Conondale’s seventh round of the season and haven’t returned since, MA officially confirms they remain under investigation from the Australian Sports Anti-Doping Authority (ASADA) for potential anti-doping rule violations (ADRV). The MA announcement distributed this afternoon has revealed that along with Jake Moss, who specified his results in a statement on Tuesday, Matt Moss’ sample also tested positive to Ostarine following the tests carried out in South Australia. In separate statements released via social media this week, the pair have indicated they are individually challenging the results as part of the ADRV process. In the meantime, since his absence from the MX Nationals, MX2 contender Jake Moss has resigned from National Pump Monster Energy Kawasaki and is stepping away from racing professionally. The team has also announced that Americans Kyle Peters and Wil Hahn will join the team in 450 roles to conclude the 2016 season. 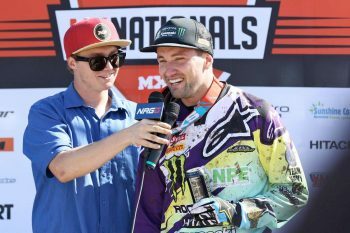 “Bound by the ASADA Act and ASADA Regulations, the Code, the WADA International Standard for the Protection of Privacy and Personal Information and the Privacy Act, Motorcycling Australia can now confirm that on 22nd of May 2016 the Australian Sports Anti-Doping Authority (ASADA) tested four individual athletes at the MX Nationals round held at Murray Bridge in South Australia. “Motorcycling Australia can also confirm that samples provided by both Jake Moss and Matt Moss have tested positive for Ostarine, a substance prohibited for use in sport under the World Anti-Doping Agency’s Prohibited List. “Both Jake and Matt Moss are now under investigation by ASADA and have been provisionally suspended by Motorcycling Australia from any activity in their sport until the matter is resolved as per ASADA’s guidelines. The other two riders tested at the same time – Dean Ferris and Nathan Crawford – had no adverse analytical findings. “An important part of the Australian Anti-Doping process is that the privacy of individuals is protected, and the ‘legislation ensures that an athlete or support person has their privacy protected while the matter is being reviewed’. “ASADA conducts testing of Australian athletes according to the World Anti-Doping Agency’s (WADA) International Standard for Testing and Investigation and as a government agency ASADA is bound by the Commonwealth Fraud Control guidelines as well as in accordance with the Australian Government Investigations Standards. “Throughout the investigation process the correct procedures have been followed to ensure the credibility of the athletes, promoter, governing body and ASADA has not been tarnished. Only when the final determination has been made will Motorcycling Australia be in the position to make any further comments. Crawford announced yesterday afternoon via social media that he has been cleared of any doping allegations made and MA’s statement also now confirms that CDR Yamaha’s Dean Ferris returned a negative sample when tested at the same event as the Moss duo.